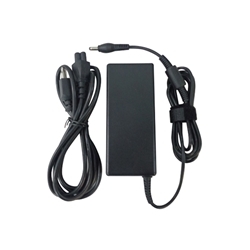 Description: New 3 prong high quality 90 watt aftermarket ac adapter charger power supply. Comes with power cord. Input: 100-240V ~ 1.5A, Output: 19V - 4.74A. Compatible Part #'s: PA3516U-1ACA, PA-1900-24, AG19074CY02. Toshiba Satellite A300, A305, A500, A505, A660, A665, L750, L755, M300, M305, P300, P305, P500, P505, P750, P755, P770, P775, A200, A205, A210, A215, A350, A355, A350D, A355D, P200, P205, P205D, P200D, L300D, L305D, L350D, L355D, A130, A135, L500, L505, L500D, L505D, A650, A665.